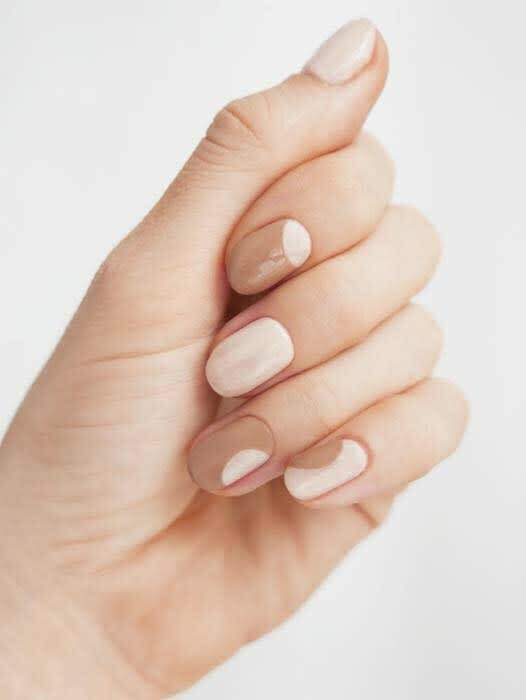 Celebrate National Coffee Day with this caffeine-inspired nail art | HELLO! Celebrate National Coffee Day with this caffeine-inspired nail art! OK so there's a national day for pretty much everything nowadays – but we love a good excuse to celebrate so we're all in! 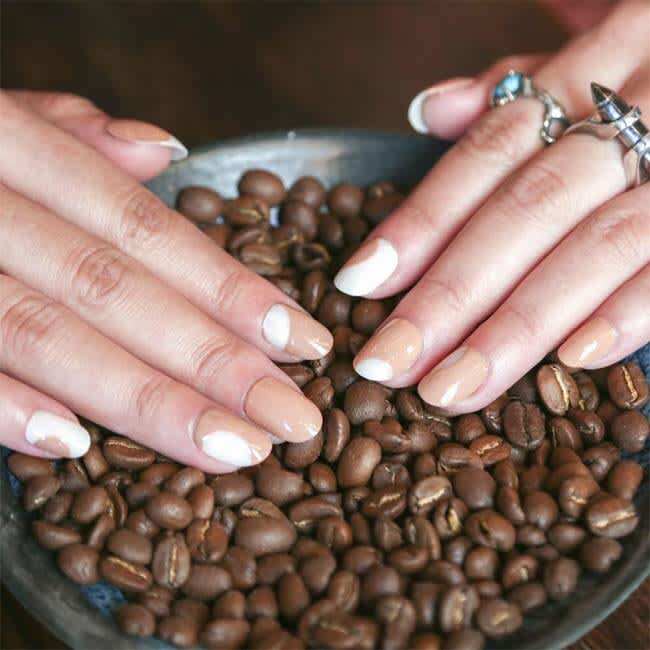 Today is National Coffee Day, so we got a coffee-inspired nail art look from Sally Hansen's Global Colour Expert Madeline Poole to show our love for caffeine...! Start by applying two coats of Sally Hansen Miracle Gel in Birthday Suit to all nails. Using a striping brush, outline a semi-circle shape on the pinky nail using the Miracle Gel in Totem-ly Yours. The shape should resemble the shape of a coffee bean – oblong and round. 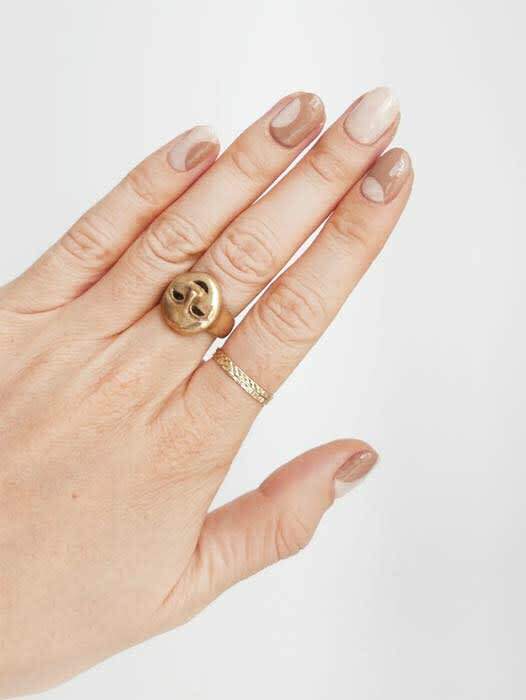 After painting the coffee bean outlines, allow the nails to dry a few minutes and then apply one coat of Miracle Gel Top Coat.